If you're anything like me, you LOVE food. Why not declare your love with these statement studs! 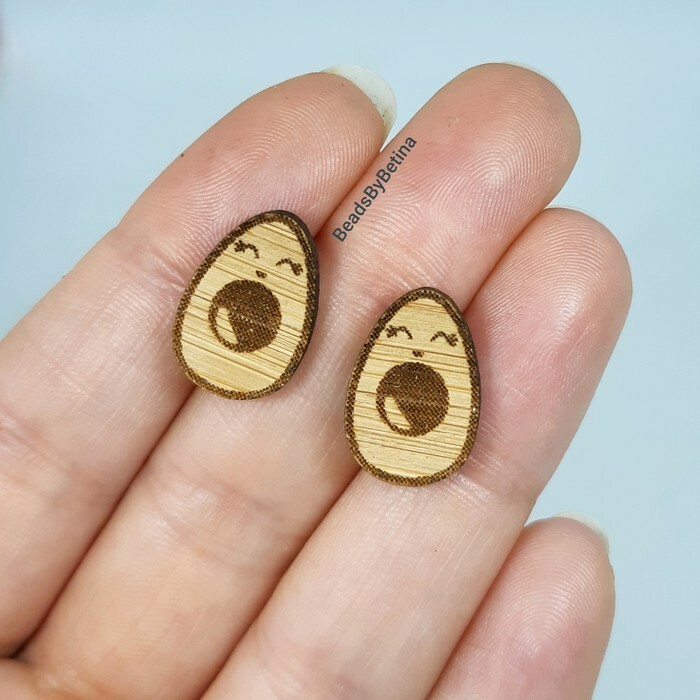 You too can own your very own teeny-tiny avocados with cute little faces that will lovingly adorn your ears and show the world that you love avo more than you need a house deposit! 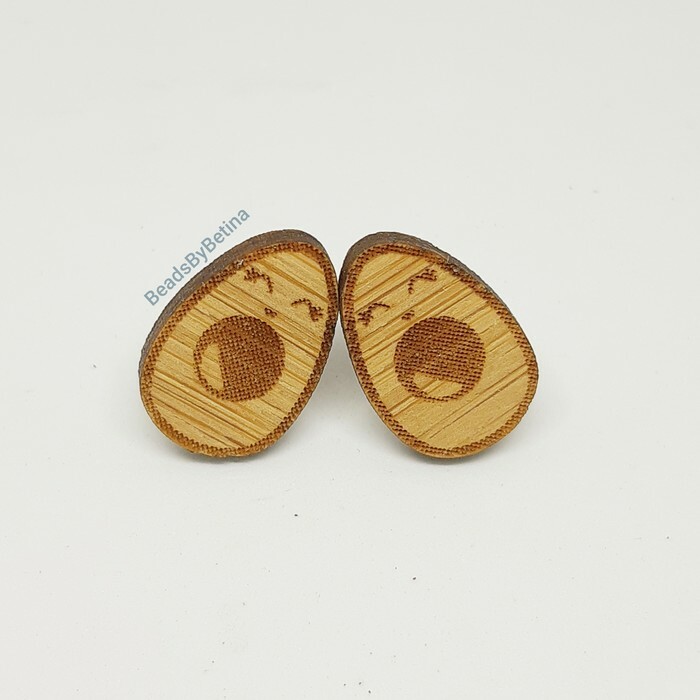 These little tasty morsels are laser cut bamboo and are approx 15mm long and are set with stainless steel hypo allergenic backing and are the perfect summer statement accessory for any foodie. 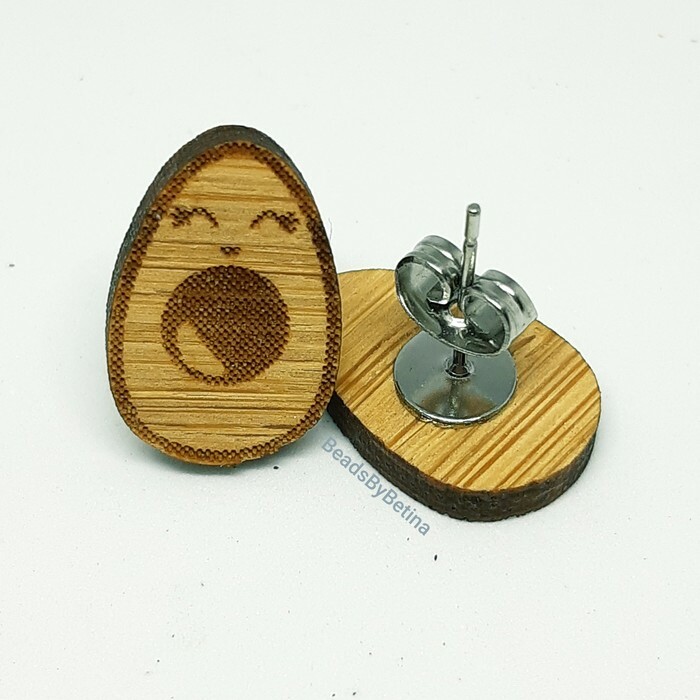 This listing is for 1 pair of stud earrings, including standard AusPost postage to anywhere in Australia. Please send a message with any questions!